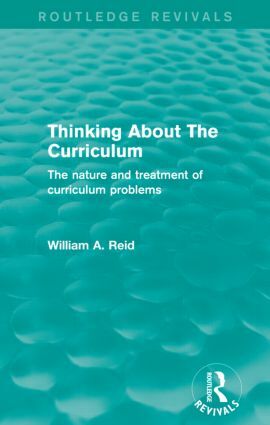 First published in 1978, this book looks at the ‘curriculum crisis’ of the 1970s, examining the effect it has had for Curriculum Studies and curriculum policy making. It focuses on a time when long-established structures and procedures were challenged and schools were accused of having lost touch with the wants and needs of communities. The author argues that the curriculum should become part of community interest and be led by this, rather than by professionals and initiates. Indeed, he feels that the curriculum must have an identity which avoids alliances with technocrats, bureaucrats or ideologues, but yet has a positive philosophy and a commitment to good values.